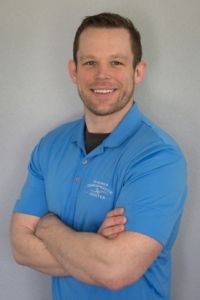 Dr. Jacob Sherer is a 2012 graduate of Logan College of Chiropractic. While at Logan, Dr. Sherer earned a Doctor of Chiropractic as well as a Masters in Sports Science and Rehabilitation and a Masters in Nutrition and Human Performance. Dr. Jacob Sherer specializes in the diagnosis and treatment of acute and chronic sports related injuries. He also provides sports specific training and injury prevention analysis utilizing techniques designed for professional athletic teams. Dr. Sherer also practices acupuncture and auriculotherapy, which works hand in hand with chiropractic care. Along with these services, he also offers sports specific nutritional counseling to improve strength and endurance. Katie Drake Sherer, D.C., M.S. Dr. Katie Drake Sherer specializes in pediatric care as well as prenatal care using SOT (Sacral Occciptal Technique) and Webster technique. She also provides nutritional counseling for many medical conditions including autoimmune diseases and diabetes. She also provides weight loss counseling. Her total patient weight loss is well over 5,000lbs in the last 4 years. 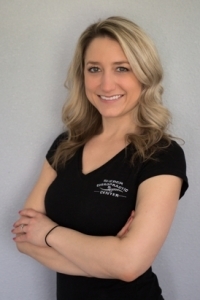 Dr. Renee L. Edelen is a 2014 graduate from Logan College of Chiropractic at Logan University where she earned her Doctor of Chiropractic degree as well as a Master’s in Nutrition and Human Performance. Dr. Renee is highly trained and skilled in a variety of adjusting and muscle release techniques that are safe for individuals of all ages. 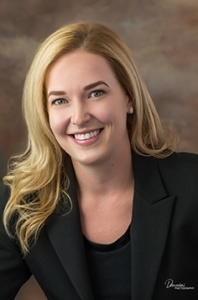 Dr. Renee specializes in the rehabilitation of acute and chronic musculoskeletal conditions by providing a combination of adjustments and therapeutic muscle release techniques that provide lasting results. In addition, she teaches individuals what they can do on a daily basis at home to improve his or her specific condition in order to prevent reoccurrence. In addition to spinal conditions, Dr. Renee is also experienced and successful in treating conditions such as migraines, vertigo, TMJ, carpal tunnel, plantar fasciitis, tennis and golfer’s elbow, as well as knee and shoulder pain. At Sherer Chiropractic Center, we believe that a patient should have a pivotal role in their healthcare.